Many people think of task management as a tool designed to help companies manage the flow of tasks and messages from corporate headquarters to store-level users, while providing visibility into store execution. And indeed, these are core aspects of any complete task management solution. Despite these benefits, it’s perhaps not surprising that many store-level users consider task management to be more burdensome than helpful. 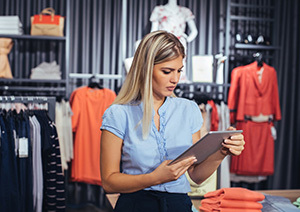 While users might acknowledge the benefit of a consolidated communications platform, they may nonetheless see this solution as a one-way street of “do this” and “read that” that rarely resolves everyday issues in their stores. To overcome this challenge, we must combat the negative store-level impression by reconsidering the approach to task management. How might we use it to better serve the needs of our departments and stores? For example, could store managers utilize task management to make corporate users aware of unexpected store issues? Could communication be better organized to ensure these issues are appropriately and promptly addressed? As briefly mentioned above, task management provides structure to communication flow throughout a corporation, so that the right tasks and messages are delivered to the appropriate person at the right time. In corporate-to-store communication, content creators are expected to follow company guidelines, which gatekeepers help enforce. However, maintaining this structure becomes difficult when opening content creation to store users. 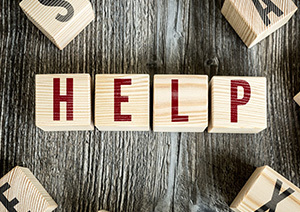 These users are often under pressure to resolve problems quickly and are not always aware of the best way to communicate with those who can provide assistance. Training plays a role, but a better option would be a tool that adds structure to the issue resolution workflow. This latter option is called incidence management. Incidence management gives store users a guided process to resolve problems outside their scope or resources. The structure of these workflows varies. In some cases, a message within incidence management, or ticket, might be assigned directly to a corporate user equipped to take action. In other cases, the input of multiple users may be necessary before the ticket can be formally closed. And in some cases, it may be desirable to use an intermediary, like a help desk, to initially receive the ticket and then redirect it appropriately. Regardless of the workflow structure, several elements are essential for effective incidence management. First, all stakeholders must have visibility into the status of the ticket. Second, all stakeholders should be able to communicate with each other. And third, preset notifications should be delivered to stakeholders at appropriate times. These crucial components ensure that no tickets are “lost” and that there are no unnecessary delays in resolving them. Let us use an example to bring these ideas together. Imagine a department manager notices an equipment issue in her department with a failed deli slicer that requires repair. Instead of contacting someone via phone, she opens Logile’s incidence management application and creates a new ticket. Once this information is provided, the manager submits the ticket. The ticket is automatically routed to the next step in the predefined workflow: it is sent to the store’s maintenance manager. This manager is notified that he has 24 hours to review the ticket, examine the equipment, review the attached troubleshooting guide, and take action. He can: (1) resolve the ticket as “fixed,” (2) indicate that in-store repair is possible within three days, (3) submit the equipment for out-of-store repair, or (4) recommend purchasing a new unit. In our case, the maintenance manager believes that (4) is the best option. He inputs the rationale: per the troubleshooting guide, replacement is required since the unit is more than 5 years old and a crucial part has failed. By selecting this option, the manager’s rationale is automatically submitted to the corporate equipment buyer, who receives a notification on her mobile device. She reviews the details and decides to place a new order with the slicer manufacturer. At this point, the deli manager receives a new notification that follow-up is required. Upon receipt of the new slicer, she confirms that everything is in order and closes the ticket. Let us review. Throughout, all three parties involved in the ticket had access to the ticket’s existence and could monitor its progress. The department manager enjoyed unprecedented visibility into the progress toward resolution. The maintenance manager was given specific instructions to examine the equipment within a particular time frame. And finally, the corporate buyer received the documentation needed to justify the purchase of new equipment. In conclusion, our view of task management is too limited if we consider it to extend no further than corporate-initiated tasks and messages. Task management solutions can do much more to meet the needs of store users if they support incidence management, making it possible for stores to follow a structured process to notify the right people in the organization when they face issues that require resolution. By giving store-level users more power and visibility through this functionality, we can expect to see a growing sense of empowerment among our employees, as well as more effective issue resolution.